After dabbling in acting Bernard Matis became a successful film and television editor during the 1950s and 1960s. Not sure which boy on the left is Bernard Matis and which one is Gerald Pierce. 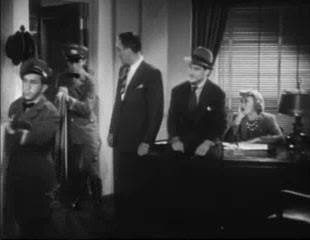 The other three in the room are Broderick Crawford, Pat O'Brien and Eve Arden.